Brain arteries, magnetic resonance angiography (MRA). 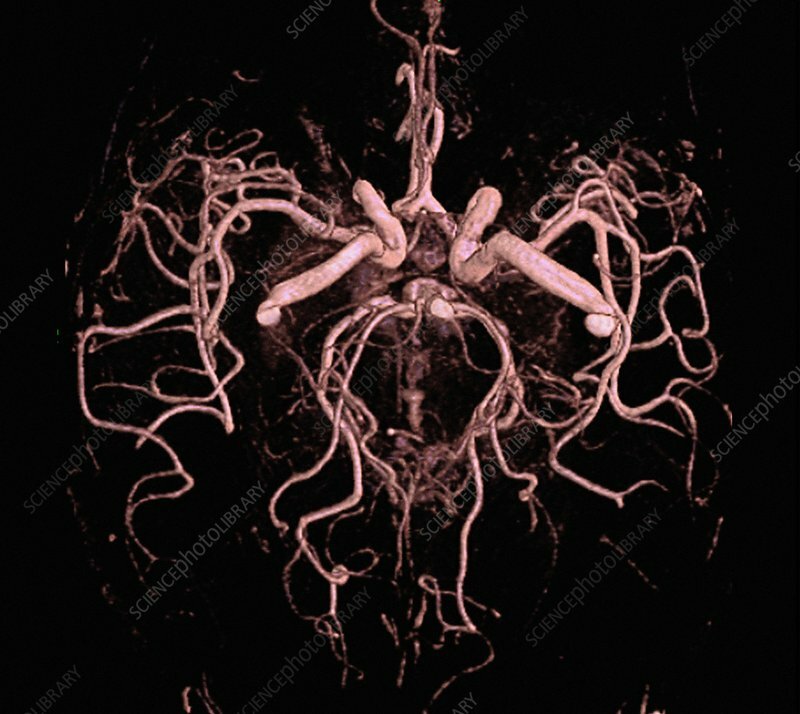 Cerebral arteries imaged using 'time of flight' (TOF) technology with volumetric rendering in 3D using MRI angiography. No contrast medium was administered. The brain blood vessels are seen from below.